2 Pint Straight Sided Tankard. 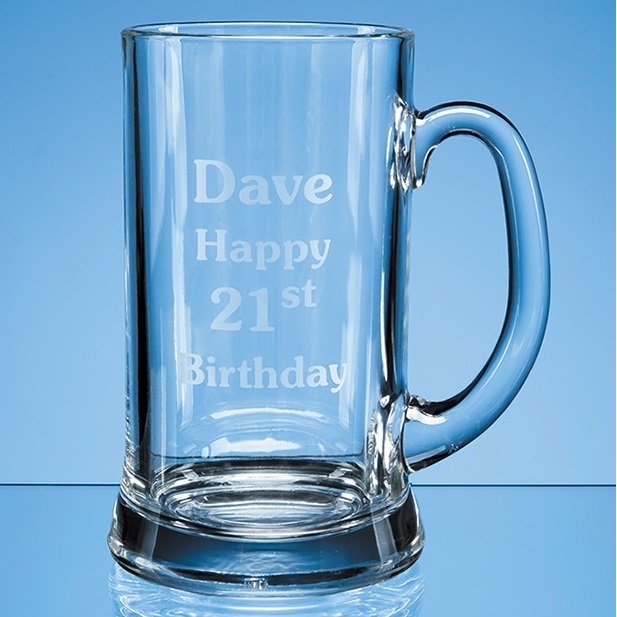 The 2 pint straight sided tankard is a simple design with a solid base and a curved handle. It would make a great gift that is guaranteed to be well received and displayed with pride. This amazing tankard measures 200mm x 120mm and weighs 1.5kg unboxed.